Kish, Richard and I visited scenic Stonington, Maine today. On our stroll around town, the name of this abandoned boat gave us a laugh. Could that truly be the original name given to this ill-fated dinghy? 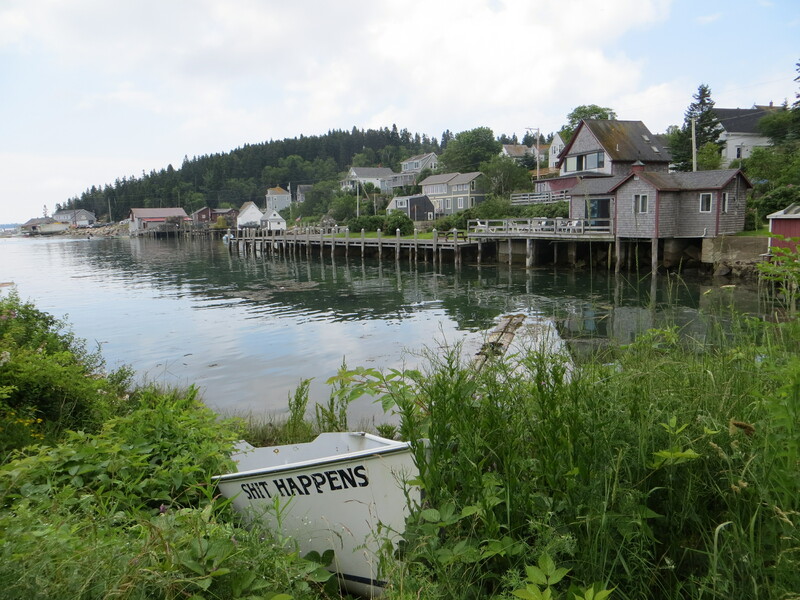 This entry was posted in Humor, Photography, Travel and tagged Boats, Humor, Maine, Photography, Stonington, Travel by webnerbob. Bookmark the permalink. The title for this is perfect. That is, “Aptly Christened” is aptly christened.